These 100% cotton onesies are available in baby blue or pink and feature the SOJA Stars and Bars on the front. Printed In The United States. 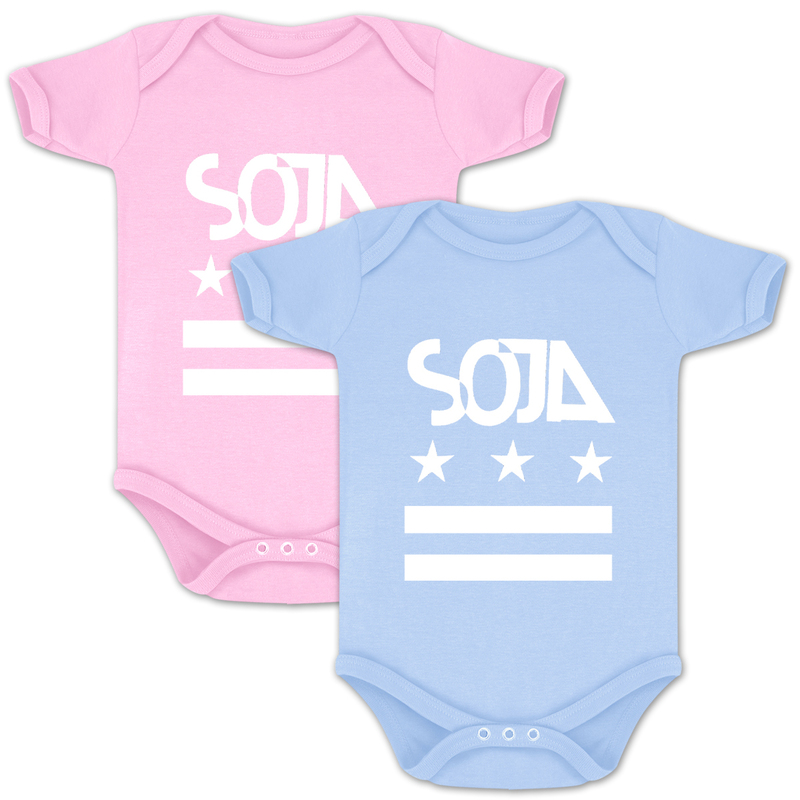 I was super excited to be able to get some SOJA baby merch, it looks great and my little man can wear the Stars and Stripes just like his dad!